I have tried to draw dinosaurs and prehistoric animals with regrettable results. It did not surprise me that members of the forum like you draw such species without copying any book. That has a lot of merit. Without directly copying a painting I am not able to paint by memory, that is, I have no imagination to make such works based on paleontological knowledge. I admire you. Keep it up. Thanks for kind comment Shonisaurus, haven't checked this forum for ages! I needed a new notebook and got one with covers I can draw on. 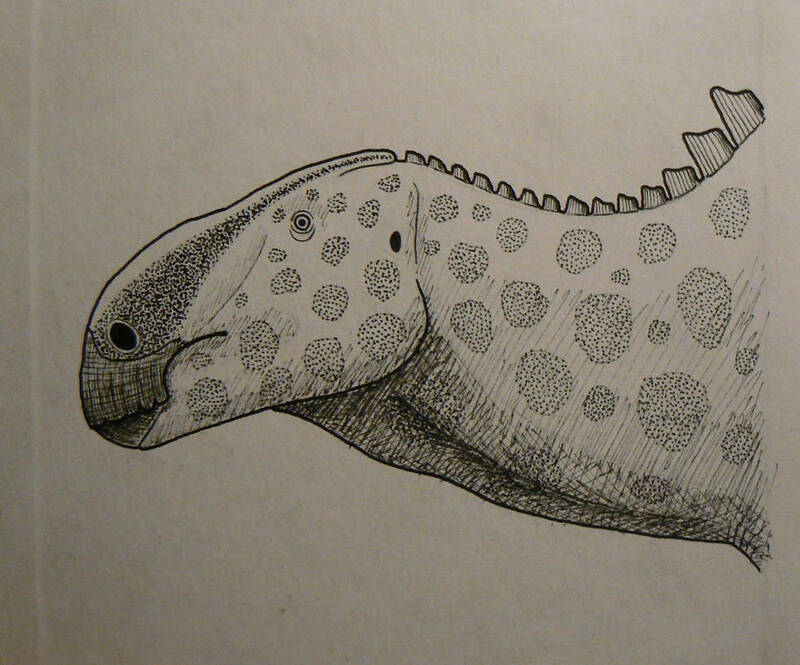 Did the front cover first - Gryposaurus monumentensis. Fairly happy with this. Tried a bit of hatching, at which I have no skill - fun to do something different for a change though. 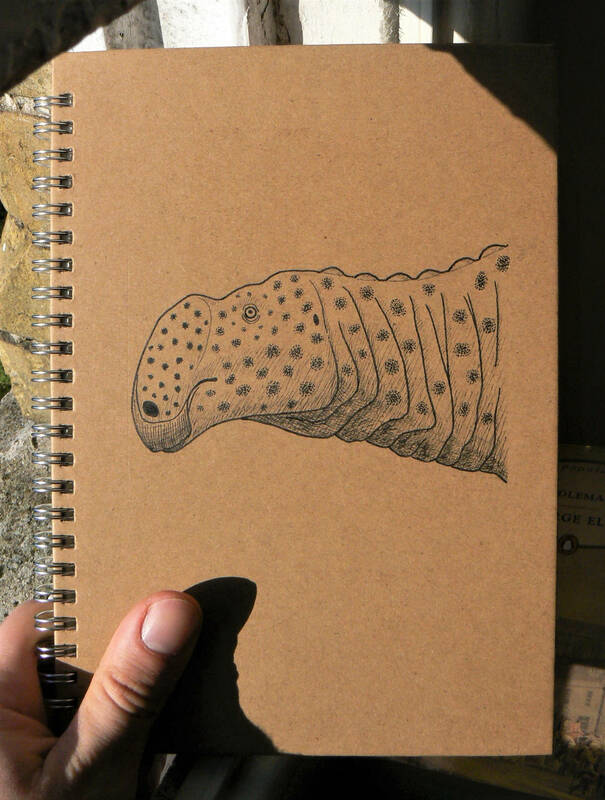 I'll probably add more ornithopods on the back and inside covers at some point. That hatching isn't bad at all! With a little practice you'll be great at it. To the gryposaurus you have put some moles that give the vision of an exotic and tropical dinosaur. (from my way of seeing). 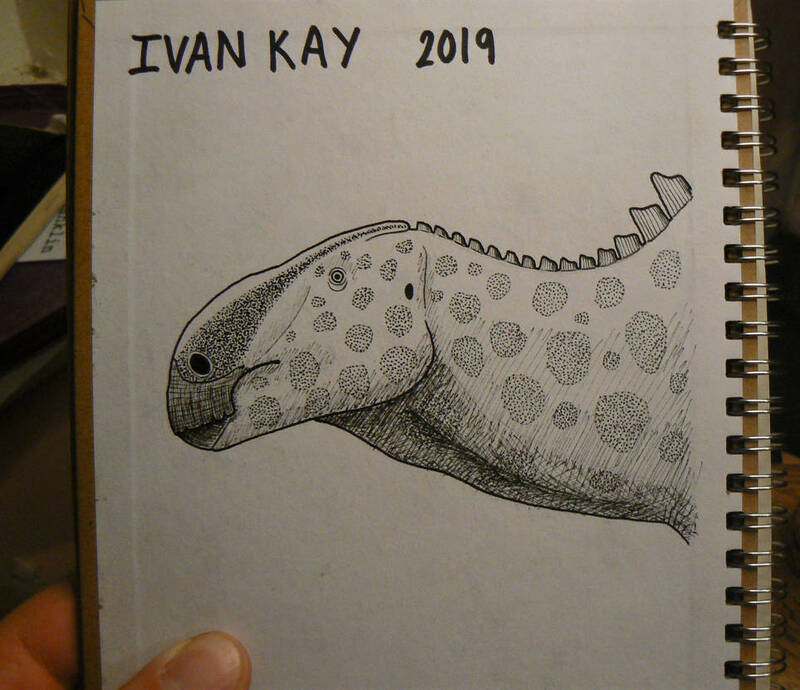 Back cover of new notebook, with the ornithopod Altirhinus kurzanovi. Overcast today, so worse lighting. Beautiful drawing of the gryposaurus. Sincerely, you have great talent as an artist. 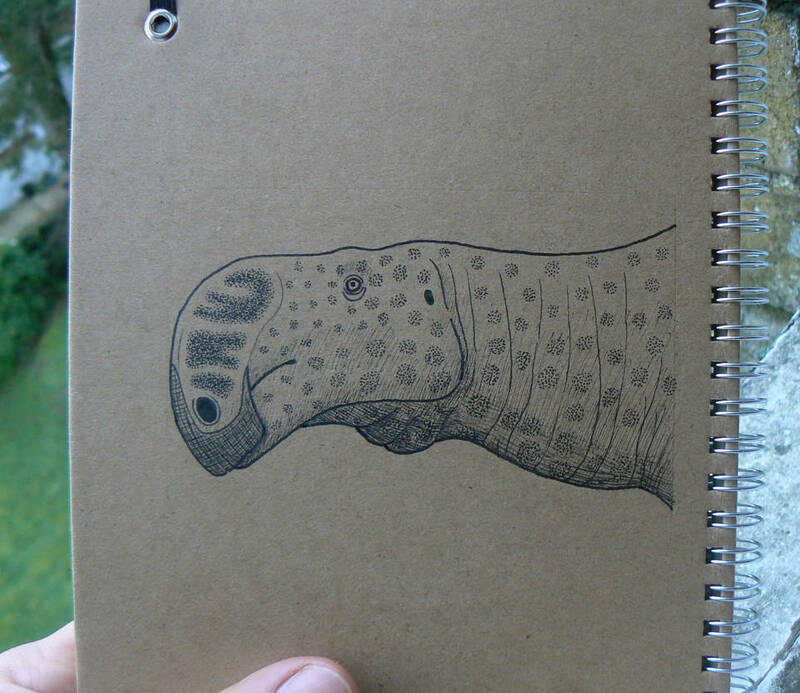 Brachylophosaurus canadensis, on inside cover of new notebook. Need more practice at hatching in general and hatching different shapes in particular... hard to gauge shading values with an unfamiliar technique. On the whole though, pretty pleased with the overall look of this. I really like your the Gryposaurus and Brachylophosaurus, great work! 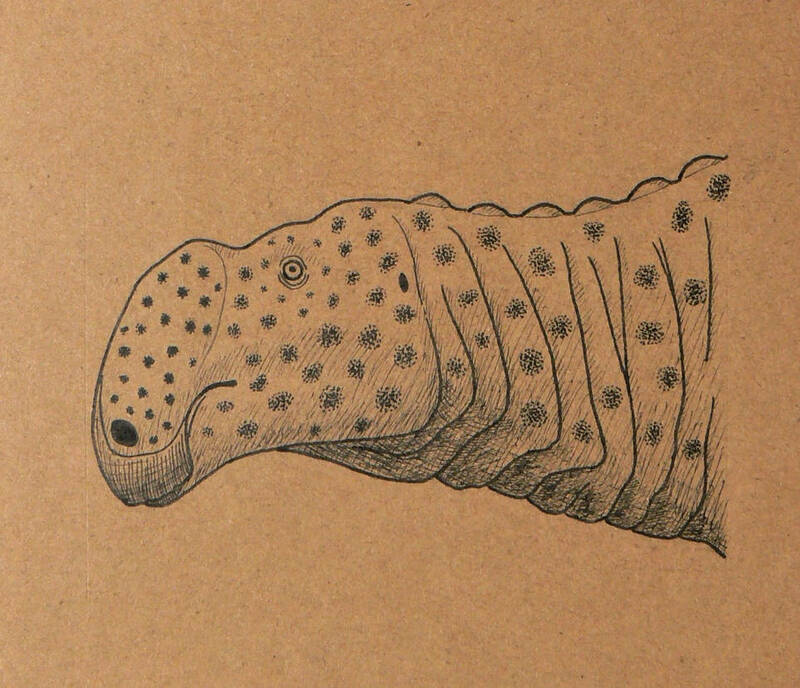 Your hadrosaurs are very well drawn. Have you ever tried practicing hatching on inorganic shapes? Just like a sphere, a pyramid, a cube, etc.? I found it very helpful when I was trying to figure out shade and lighting. Halichoeres: I haven't, but it sounds like a good idea. 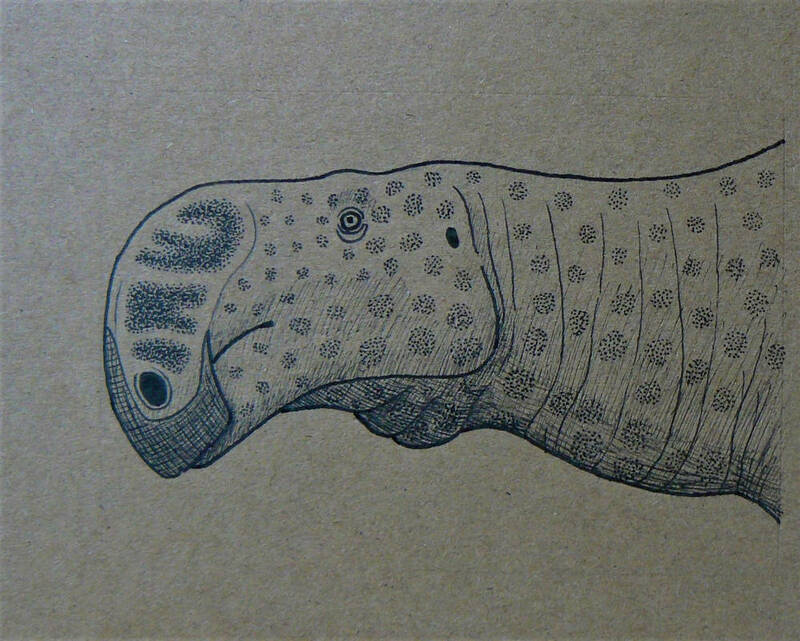 Some less serious 'palaeoart'. 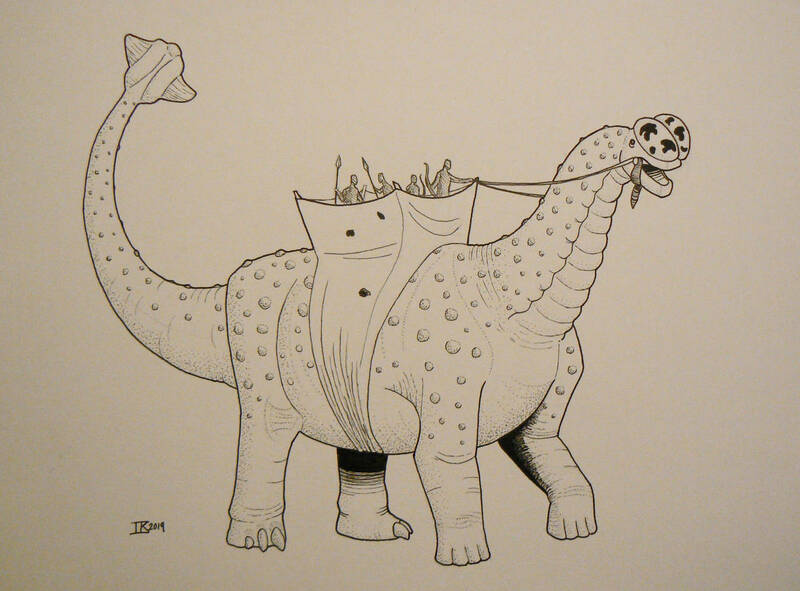 A domesticated sauropod, selectively bred for military use. Or as I call it, a Waropod. How have I missed this thread?! I love your style and, of course, the finished products. They should be employing you to illustrate serious dinosaur books! As a sidenote, I totally feel you about learning to draw prehistoric animals from different angles. It's something I'm trying to do more of myself ATM. Thanks a lot, that's a really nice vote of confidence! Also, Tyto alba are great dinosaurs and I have been lucky enough to see a couple in the wild. 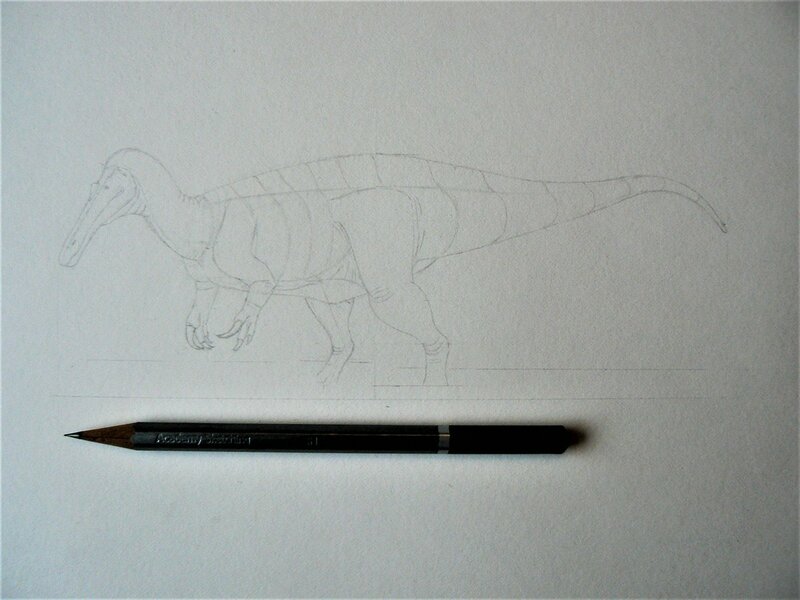 Suchomimus tenerensis WIP. Not enough light today to get a good image of the faint pencil, but when it's inked hopefully it will look ok.
More Suchomimus WIP, now inked. Thought it might be interesting to document some steps in the process.